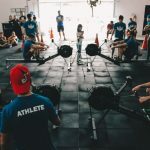 If you’re interested in strength training or new to weight-based workouts, barbells probably seem like one of the most appealing options you have at your disposal. After all, everybody accomplishes with award winning lifter practices with barbells. Why can’t you do the same? Barbells are simple pieces of equipment, but they’ve been used seemingly forever by people looking to build some muscle. They’re virtually irreplaceable. They’re effective, versatile, and affordable. But what is the best barbell set for ultimate exercise? We are aware many of you like to train at home. So we will also help you choose the best barbell set for home gym. What more could you need from a piece of equipment? 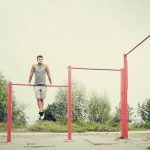 Bodyweight exercises alone don’t allow you to thoroughly develop your personal strength. After all, you’re limited to how much weight you have to work with and your joints will only develop the capacity to support what you weigh efficiently if you never add more weight to the game. While barbells are simple tools that deliver real results, everything has its drawbacks. If you want to reach your full potential, be prepared to balance out your barbell exercises with a range of other activities, and always make sure you’re using your barbell as it was intended to be used. 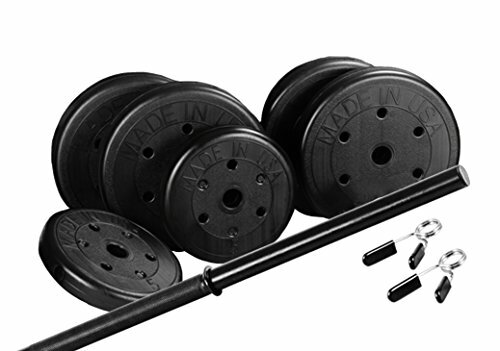 You can simply build your muscles with the best home barbell set. You don’t have to go out and spend time with people to obtain Hulk-looking style anymore! All you need is some space in your house. Let’s assume you purchased the best barbell for a home gym and the best barbell weight set to fully satisfy your needs and training goals. 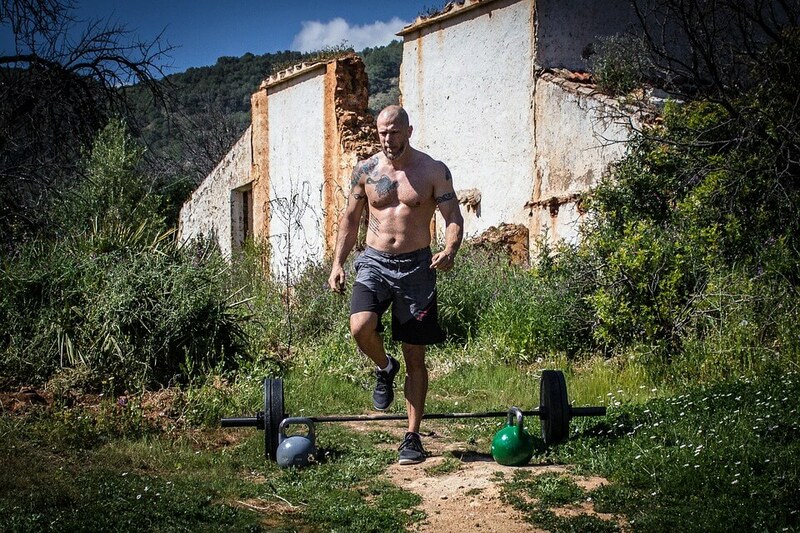 Let us introduce you to positive and negative effects of barbell training. The benefits of barbell lifting are seemingly endless. 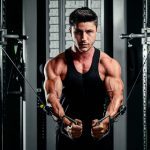 These are just a few of the stand out benefits that make this type of training one of the best available options for people looking to start building strength. Anyone can do it. There is no minimum level of fitness you should reach before you begin barbell training. All you need to do is start with lighter loads until you become fit enough to handle larger amounts of weight. 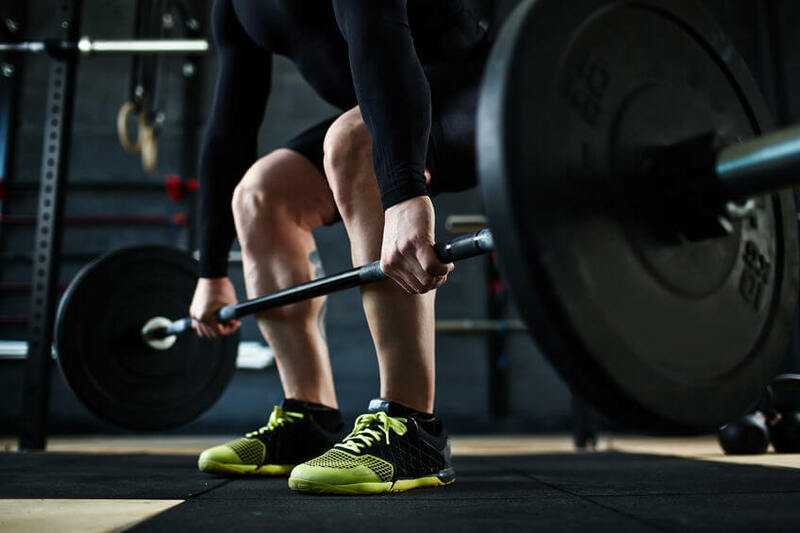 Barbell training is just as good as it is for beginners looking to create a foundation from which they can build as it is for expert lifters who want to maintain their muscle mass. 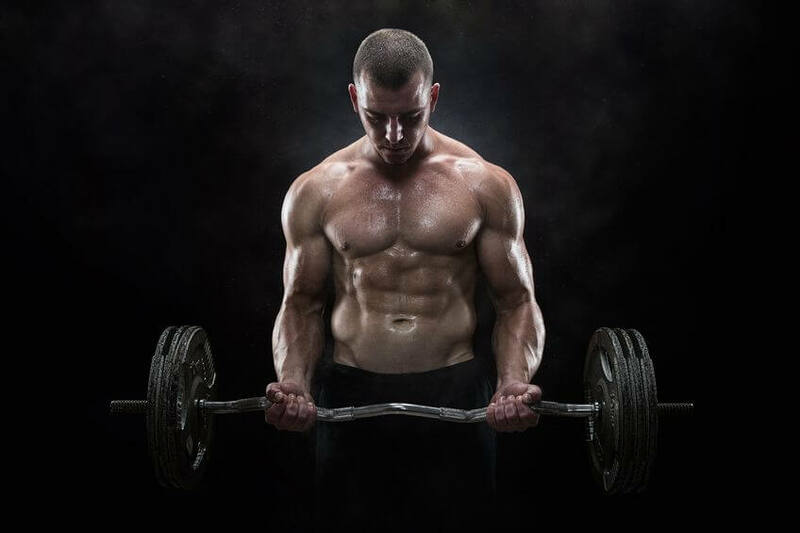 Barbell exercises boost the release of muscle building hormones. 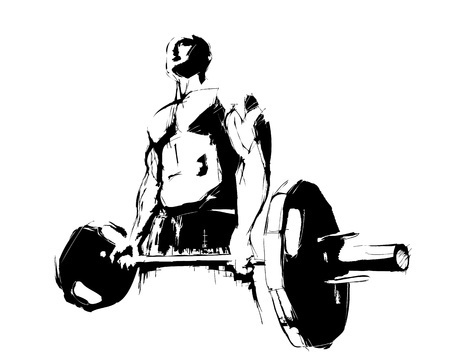 The body releases two hormones in response to barbell lifting exercises: growth hormone, and testosterone. 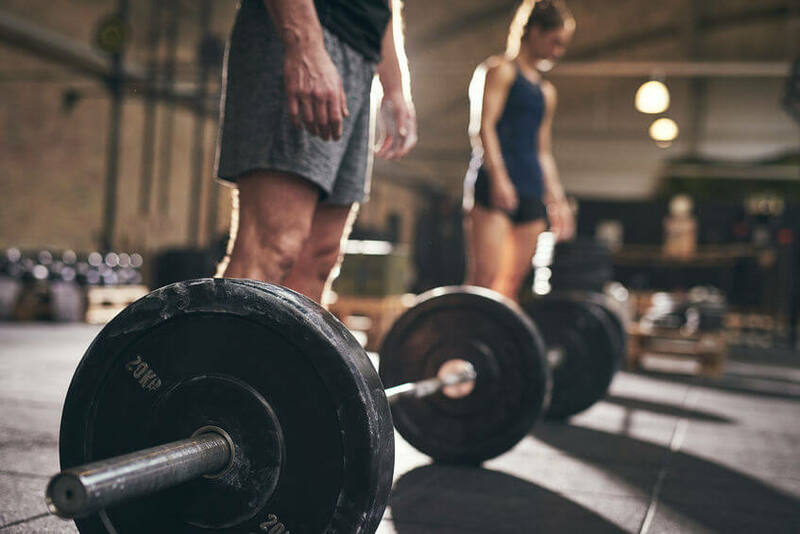 Whether you’re a male or a female lifter, you need increased levels of these hormones in your body if you’re looking to add some muscular bulk to your physique. It’s easy to track your goals. With some exercises, you just have to have faith that they’re working. With barbell exercises, you’ll be able to tell how close you are to achieving the goals you’ve set for yourself. Over time, your preset amount of weight will become easier and easier to lift, allowing you to add weight in small increments. Figure out how much you’d like to be able to lift, and you can track your progress based on the increase of your load. You’ll see results quickly. Beginners will be surprised to learn how quickly they’ve noticed their results, provided they are sticking to their workout plan. If you aren’t already muscular, you’ll find that visible muscle definition quickly creeps in over the horizon. You’ll be able to look at your arms in a few short weeks and notice how quickly they’ve built up. You’ll build better coordination. Many barbell lifting exercises require you to target specific zones. You’ll learn how your muscles interact with each other. Some exercises need to be performed while keeping certain areas engaged and other areas completely unused. You’ll learn to separate and target your muscular groups, which will make any workout using any equipment infinitely easier. Barbell lifting is a great way to learn your body while determining how to isolate groups for specific kinds of lifting. Barbell lifting may improve your balance. 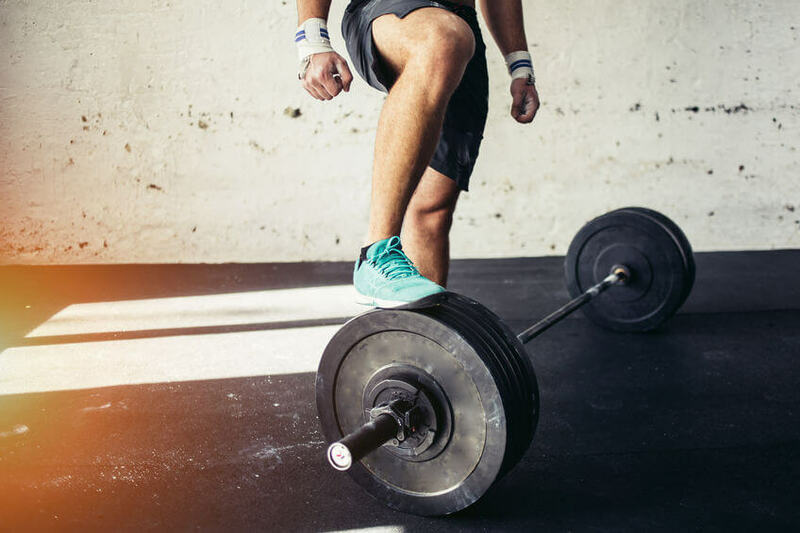 Many barbell lifting exercises require lifters to maintain proper form, usually through the use of specific stances and methods of hoisting the barbell. You’ll learn to stay firmly on your feet during challenging movements. Great balance is necessary for a variety of athletic activities, spanning from running to mixed martial arts. 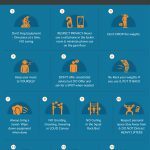 There are a few downsides of barbell exercises, particularly if fitness enthusiasts rely too much on barbells to occupy most of their workouts. Recognizing these cons and preventing them is key to a successful workout routine. Improper stance and spine position may lead to injury. Spinal injuries are common among lifters who don’t follow proper form. Lifting heavy loads can be dangerous for your back if you allow it to be taxed with most of the burden. Stances vary from exercise to exercise, but the majority of these stances place emphasis on the fact that you shouldn’t feel the lift in your lower lumbar spine. Always make sure you’re executing your moves the way they were intended to be executed. Increasing loads too early can have a harmful effect on your muscles. 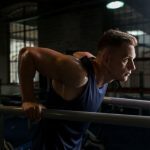 When it comes to increasing your weight load, it’s best to repeat the mantra “just because you can, doesn’t mean you should.” Rapidly increasing weights or adding too much weight to level up your lift can have serious consequences in the form of muscular injury.The too heavy load may lead to injury. Before increasing your load, ride it out for a week or two after you notice your current load is easier to lift. Excessive lifting can create muscle tension. Muscles get larger by tearing and repairing themselves. Soreness after a workout is completely normal. You’re not lazy or weak if you take a break and wait for that soreness to subside before you attempt to push yourself past your limits. Attempting to lift too much too quickly makes for a tense muscle that’s less flexible and useful than it should be. Weightlifting increases tension. 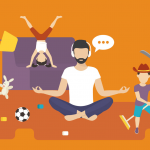 Make sure you’re pairing it with workouts designed to reduce tension. Barbell training is not a total solution. Many people believe that lifting is all they need to do to get themselves into tip top shape. Relying on weightlifting for all of your exercise won’t get you very far. You need to be sure you’re devoting enough time to cardio, in order to improve the function of your heart and lungs. You also need to dedicate time working on other muscle groups in order to develop evenly. If you squat, don’t forget to plan special workouts for your glutes and hamstrings. You’ll also want to work on exercises designed to safely develop back muscles. 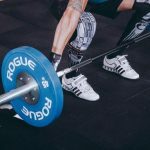 Though barbells are fairly simple to navigate, there are a few different kinds of barbells and different styles of bumper plates. Often times, experienced lifters create a custom configuration that works best for them. Understanding these differences will help you best identify exactly what it is that you’re looking for. 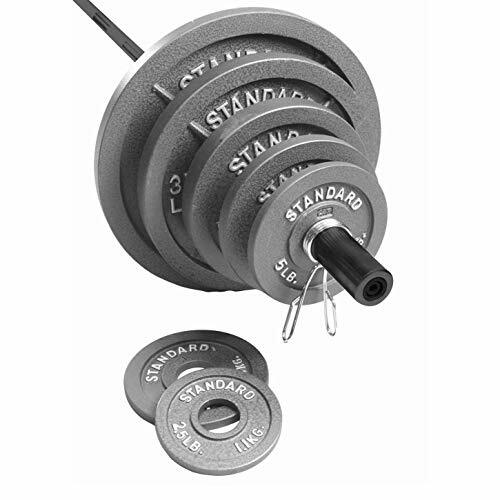 Where there are several variations and styles available, there are three common kinds of barbells: standard, Olympic, and curl bars. Standard barbells are what most people generally work with, and are most commonly found at gyms and the best option for home. These bars are designed to be used with 1 inch weight plates, and are knurled for improved grip where the user would place his or her hands. Olympic barbells are a little different. These bars are designed to hold weight plates sometimes exceeding 1,000 total pounds. Often, the entire bar is knurled. Since these bars need to be able to withstand more intense use, they’re often thicker and designed for use with two-inch weight plates. Curling bars are a whole other story. They have a bend in the middle, in a shape reminiscent of the letter “w”. The knurling is at the top of these bends, where the bar is intended to be held. Curling is a very specific type of lifting that many beginners find most enticing. It targets predominantly the biceps. These bars aren’t designed to hold very much weight, so they’re better for specific toning and development than a general workout. The typical barbell will almost always be 7 feet. This includes the space in which you can actually hold the barbell, and the ends of the bars where you would secure the weights. While the vast majority of people will be able to use a 7 foot bar without incident, smaller bars and longer bars are also available. If you are exceptionally short or exceptionally tall, you may find that a different sized bar is more comfortable for your arm span. Just take note that shorter bars may not work with racks or cages that sit at fixed widths. Like with styles of the actual barbells themselves, there are tons of varieties of bumper plates. The three standard kinds you’ll find are cast iron, coated, and grip plates. Grip plates are the ones with large holes in them, making them easier to grab, hold, and load onto the bar. Plain iron plates are affordable and commonly used, but may be susceptible to wear or corrosion, especially if they’re used in a moist environment. Coated plates are better protected against the elements, and they also reduce the clanging and clattering noise you often hear when working out with a barbell. In reality, you can do just about anything with a barbell. 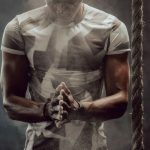 When you’re new to the game and you’re looking to build strength, there’s three main exercises that most people use to help build muscle mass and get a little stronger. With a deadlift, you’ll want a wider stance to help promote balance. Your feet should be firmly planted on the ground at about hip width. Deadlifts work best when you alternate your grip. This means that between reps, you should alternately grasp the barbell with one hand over it, and one hand under it. Lower your hips, and flex your knees until the bar is touching your lower calf. It is important to flex the knee, rather than completely bend it. Lift the bar to knee level, and swiftly pull back. Your shoulder blades should come together, and your hips should move forward. The bar should be near your lower torso. Bend your hips and lower the bar back down to the floor. That’s one rep. It is one of the best exercises for upper body power, which especially focuses on your chest and triceps. Grab the bar with the slightly outward shoulder grip, keeping your thumbs up and hands around the barbell in an overhand grip. Your forearms must be in vertical line. Keep your hips firmed to the bench. Create a slight arch between the bench and your lower back (if you can stick your arm under it, it’s ok). Your feet must remain flat on the ground. Lock your shoulders downward and squeeze your shoulders together. As you lower the barbell towards your sternum, inhale, and make sure your elbows and upper arms are at the 45-degree angle to your torso. Arching lower back too much. Lifting your hips off the bench. Do not keep your elbows too wide. You must drive the bar down through the shortest way, not up or down. Do not grab the bar with the suicidal grip – if it rolls over, you might harm sternum and ribs. Do not lift too much weight unassisted. Drive the bar up, keeping your torso and legs tight, and exhale. Always use a squat rack to maximize your safety. Keep your feet at shoulder width. Start with the bar positioned slightly above your shoulders. Come up underneath it, and place the bar level with your shoulders. Using both arms, lift them up from your sides and push up to grab the weights, lifting with your legs and straightening your upper body. Lower down slowly, keeping your back straight and your head up. Repeat. Start by standing upright, with your feet shoulder width apart. Your arms should be resting comfortably at your sides, with the palms of your hands facing upward. Grasp the barbell in your hands, keeping it level with your pelvis. 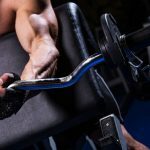 Keep your upper arms still, and move only your forearms as you contract your biceps. Lift the barbell to shoulder height, and return to the starting position. If you’re performing the move correctly, your upper arms will stay still. It is an excellent exercise to strengthen your shoulders and rhomboid muscles. Slightly bent your knees. Use the overhand grip. Keeping the barbell in the level of your hips and your arms fully extended, lift the barbell to the level of your eyes and exhale. 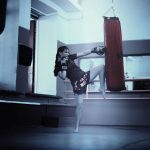 Fight your way to return the weights slowly to the starting position, making sure your arms remain extended and inhale. Do not slam the barbell down to your thighs, you can hurt yourself. Lock your spine and upper back and do not move. Lower back, hips, and upper body mustn’t go backward or forward. Do not retract your shoulder blades. Do not use too heavy weights in the beginning. An Olympic barbell is 7 feet long, and regular bars 6 feet. However, both are good. If made from heavy-duty chrome, it should maintain 1000-1500 lbs. Always pay attention to the material! It is better to purchase something that has better capacity. However, if you simply look the best barbell for a home gym, you needn’t something to handle more than 500-600 lbs unless you are a powerlifter. Bumper plates weigh from 2.5 to 45 pounds. It is usually made of durable iron. However, you can buy rubber coated ones with extra vinyl for more comfort and protection. Maybe you don’t like black or gray color, who knows! Rubber plates won’t damage your house flooring that much, so it could be included in the best barbell set for home gym pack. A set of 200 lbs is good for a beginner to start. As you progress, you can buy more. Usually, a set of the bar and bumper plates costs less money. 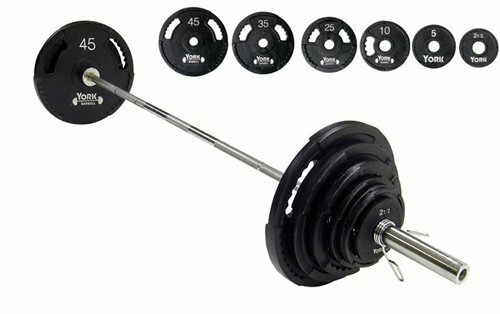 Olympic bar and rubber coated bumper plates are the most expensive offer, while the cheapest is a regular bar with iron bumper plates. It depends on your goals – are you a lifter, someone who enjoys training, a sports specific athlete? What are you planning to work on? It will determine the number of weights needed, and whether you need bigger or smaller ones. 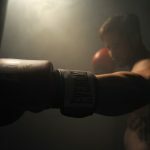 One more recommendation – a set of good CrossFit gloves or weightlifting gloves will help you enjoy training sessions. Now that you know what you’re looking for, it’s time to find the best barbell set for you. We will try to help you discover the best barbell set for a home gym. We have some ideas which will surely make your choice easier. Review: This is the best barbell set for advanced practitioners who don’t plan on trying weightlifting out. You will get six different levels of load, which enables a lot of combinations. Spring clip collars are a part of the offer. Good investment for someone who has money. Regular oiling is required to prevent rust. CAP Barbell got our vote for the best home barbell set, and it is worth every cent. Review: Cap Barbell Regular is the best barbell weight set for beginners. It is easy to maintain and you get a lot of smaller bumper plates. A 5-foot bar is a great solution for users tight on space. Bumper plates made of solid-cast iron. Multifunctional – you can use plates for various exercises and you need no gloves! The product contains phthalate chemicals, which may affect birth defects and reproductive harm. Not good for elite athletes and very serious users. We would recommend this set to someone who wants to shape muscles, but doesn’t want to look like Batman. Review: It is a good choice for someone who starts his home exercising and wants to progress. Cast iron back bumper plates. The Olympic barbell can fit the squat rack. It is good for beginners, intermediate fitness level, and some sports specific athletes. The Olympic barbell can maintain 750 lbs of load. It could be the best barbell set for a patient-practitioner who wants to learn new exercises. Review: We claim this is an excellent choice for a serious workout but it asks more money. Good choice of bumper plates. Good for a beginner in weightlifting or sports specific athlete. The bar is a bit lighter. You can also train a serious athlete with this set of weights if you have some extra money for rubber flooring. 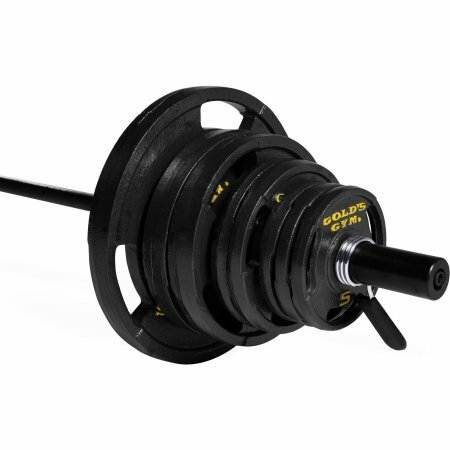 Review: This could be the best barbell for a home gym for a practitioner with a tight budget, who wants to train alone on a solid level. You can choose between various sets of bumper plates. Good for users tight on space. Classic style, good for older users. Rust-proof vinyl for better durability. Barbell has a low weight limit. The bar and bumper plates lose sturdiness quicker than other models. 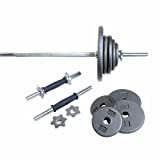 This is one of the best price/quality ratio combinations for users who want to strengthen their body at home performing regular barbell routine. Review: You won’t be needing gloves for this wonderful set. It is covered in vinyl plastic to protect weights from sweating. Made of high-quality steel bars. A good set of spring clip collars. Suitable for someone who has limited space in the house. You only get three sets of bumper plates. Not recommended for sports specific athletes and isolation exercises. You will have to buy additional weights for a serious workout. The bar might become loose after some time, so a weightlifting strap is recommended. This might be the best barbell set for the beginners who are tight with a budget. Review: This is the best barbell set for an all-around training at an affordable price. You will get many bumper plates. Good for both complex and isolation exercises. The bar comes in three pieces, and you will have to assemble it. The bar bends when you go over 250 lbs, so not good for extremely serious lifting. This set is good for a wide range of population and very suitable for someone who wants to progress gradually. Buying the best barbell set is a tough task. Especially when you try to find the place for all the weights in the small space. Those who are lucky and have a big house might buy an Olympic barbell with a lot of weights, while the others will have to purchase sets which are easy to store. Is the specific offer the best for you? It purely depends on what you plan to do and what are the goals of your training sessions. 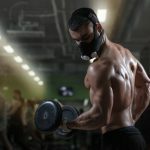 A regular workout is a good option in your house but if you want more serious weights, we would recommend you rubber flooring and a set of gloves, just in case. Don’t forget to leave us a comment and rate our products. Did we narrow the choice of the best barbell set for you down?